Blair Thisbe Bowden (1916-1981), was born on 7 June 1916 at Dunedin, New Zealand. She was the eldest of four children born to George Albert Kendall Williams and Emily Elizabeth East. Blair Williams was educated at Christchurch Girls High School and Canterbury University College, New Zealand. A keen singer, she graduated with a degree in the Arts. 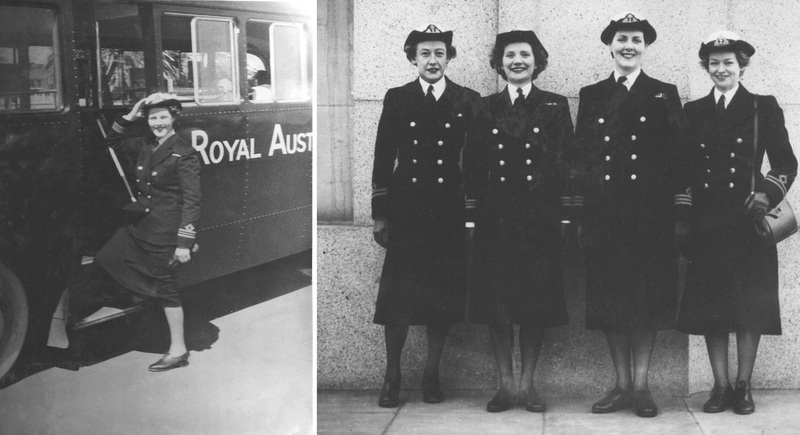 After migrating to Australia, Blair enlisted in the Women’s Royal Australian Naval Service (WRANS) on 9 January 1943. 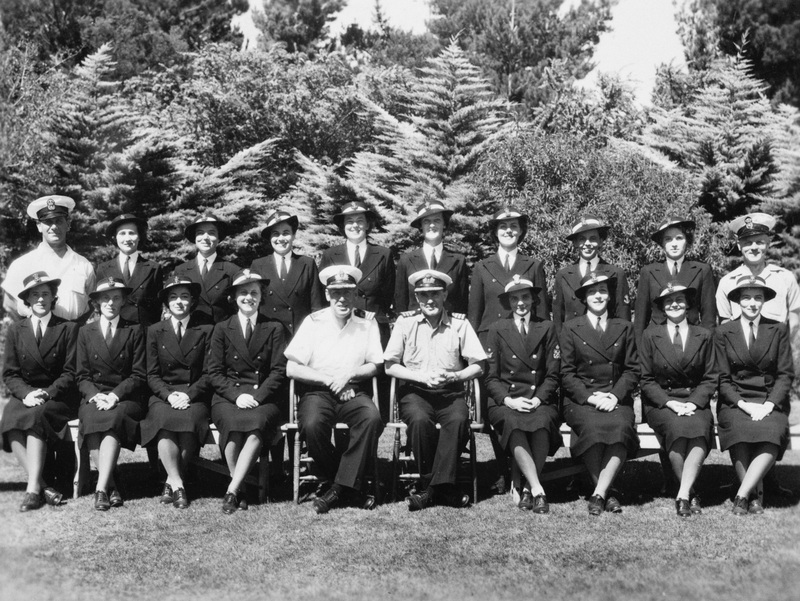 At that time the Navy was facing problems associated with administering the rapidly expanding WRANS and it was decided to hold a course at Flinders Naval Depot, HMAS Cerberus, for potential female officers. The inaugural course comprised 16 positions, nine of which were allocated to serving members from within the ranks, while the remaining seven positions were open to civilians. A selection board was held in each state and from the hundreds of civilian applications received, Blair was one of the successful candidates. The course was exacting but the standard of applicants was high and all sixteen members successfully passed. Blair was appointed Third Officer (the equivalent of a Royal Australian Navy Sub Lieutenant) on 15 February 1943 and posted to Sydney where she served variously in administrative appointments at the shore establishments HMAS Kuttabul and HMAS Rushcutter. The work of WRANS officers fell into two broad groupings. The executive who were responsible for discipline, administration and welfare of the ranks, and the specialists who were attached to Naval staff officers in the various Australian ports. The latter eventually assumed responsibility for much of the cipher and confidential book work at the bases and by the war’s end they were involved in almost every aspect of RAN shore establishment activity. Members of the first WRANS officer training class January 1943. Back row: Chief Petty Officer Wells (instructor), Marion Egan, Jean Thompson, Mary Butler, Margaret Curtis-Otter, Sheila McClemans, Blair Williams (Bowden), Joan Furley, Nancy Spier, Chief Petty Officer Harding. Front row: Lorna Bradford, Betty Bradford, Joyce Medcalfe, Joan Cowie, Commander Baldwin, Commander Phelp, Frances Provan, Edna Goulston, Alice Gould, Thelma Fenton. On 21 April 1943 Blair married Peter William Bowden; however, this union was quickly annulled. Promoted Acting Second Officer (RAN, Lieutenant) on 20 September 1943 she was later confirmed in that rank on 30 March 1944. On 1 February 1945 Bowden attained the rank of First Officer (RAN, Lieutenant Commander) and became the senior serving WRANS officer in the New South Wales command. First Officer Bowden, HMAS Rushcutter, Sydney, 1945. Rushcutter was the RAN's premier anti-submarine training base during World War II. 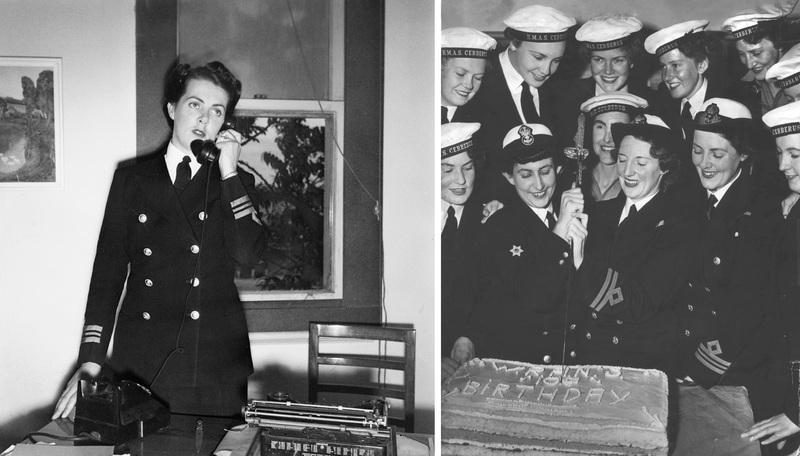 Following the cessation of hostilities naval authorities decided to disband the WRANS and by February 1947 when the organisation ceased to exist, some 2504 women had returned to civilian life. Bowden’s appointment was terminated on 8 May 1946 at which time she left Australia to live in England. On 18 July 1950 the Minister for the Navy announced the Government’s decision to re-establish the WRANS, reconstituting it as a permanent and integral arm of the Australian Navy. The work of setting up the preliminary organisation was entrusted to Mrs MC Curtis-Otter, one of the original sixteen officers appointed in the WRANS in February 1943. A decision to confine eligibility in the Post-War WRANS to unmarried women created a bar to her own appointment as Director and it was in her capacity as a civilian that she approached the task of resurrecting the Service. The need for a suitable post-war director was considered crucial to the success of this initiative and consequently Blair Bowden was offered the position. She accepted, and on 23 December 1950 was appointed the first Director of the permanent WRANS with the rank of First Officer. Returning from England to Australia, Bowden assumed the duties of Director WRANS in March 1951 and was soon promoted Chief Officer (RAN, Commander equivalent) on 14 May 1951. Throughout her appointment as the head of the post-war WRANS Bowden constantly sought to have the women’s service expanded, paving the way for subsequent Directors to achieve this aim. Left: First Officer Bowden, HMAS Cerberus, circa 1950. Right: First Officer Bowden oversees the cutting of a cake commemorating ten years since the initial establishment of the WRANS during World War II. 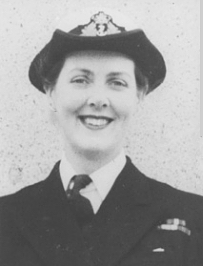 On 14 January 1954 she relinquished control to First Officer Joan Cole of the Women’s Royal Naval Service, (WRNS) and returned to England where her appointment was terminated on 23 January 1955. Left: First Officer Blair Bowden, HMAS Cerberus, circa 1951. Right: Chief Officer Bowden with fellow officers of the WRANS, circa 1951. Bowden later married Mr Geoffrey Cook and worked at the Australian High Commission in London promoting Australian exports to England. In 1970 her work was recognised through the award of the British Empire Medal. Blair Cook died in London, England on 30 September 1981. During her time in the WRANS Chief Officer Bowden recieved the following service medals, from left: 1939-45 War Medal, Australia Service Medal 1939-1945, Queen Elizabeth II Coronation Medal.